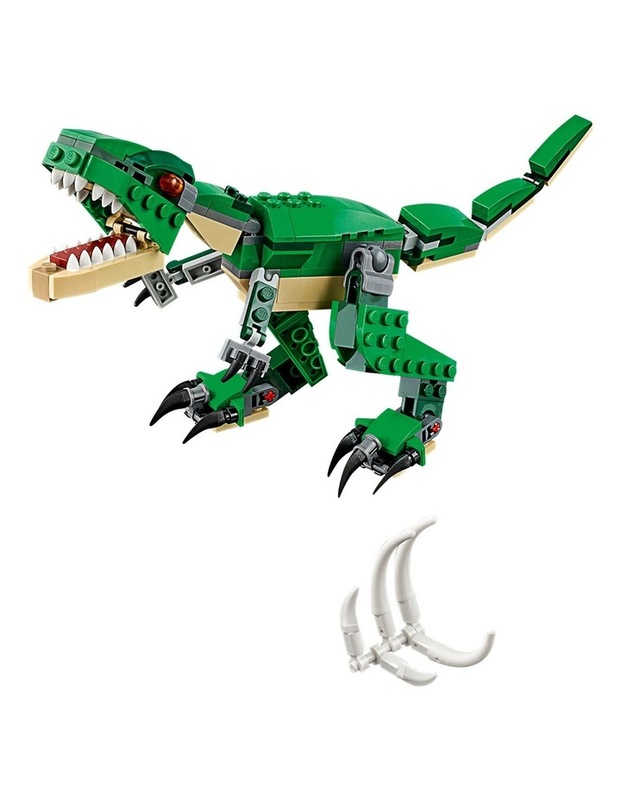 Have fun with the awesome T. rex, featuring a dark-green and beige color scheme, bright orange eyes, posable joints and head, large claws and an opening mouth with pointed teeth. Also includes the dinosaurs prey in the form of a buildable rib cage. 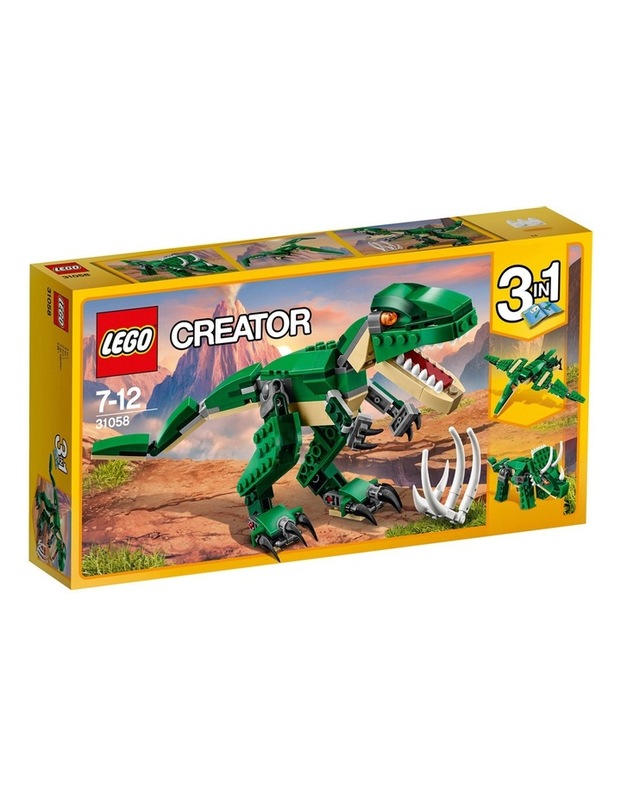 Rebuild this 3-in-1 LEGO Creator Mighty Dinosaurs model to create a Triceratops or a Pterodactyl.